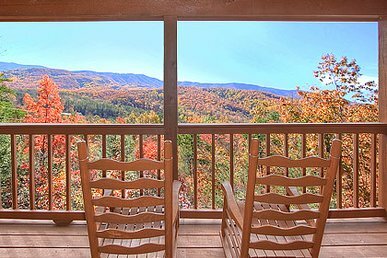 A 1-bedroom log cabin with spectacular views of a wooded valley and the Great Smoky Mountains, Majestic View is tailor-made for a romantic rendezvous. 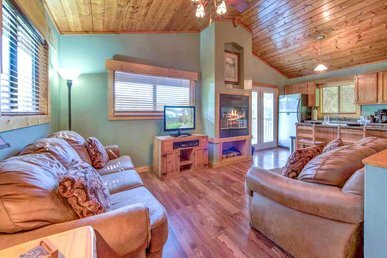 Wonderfully secluded—but just a short drive from restaurants and entertainment—and delightfully furnished, it offers amenities such as an outdoor hot tub and an indoor jetted tub that will make your getaway even more special. 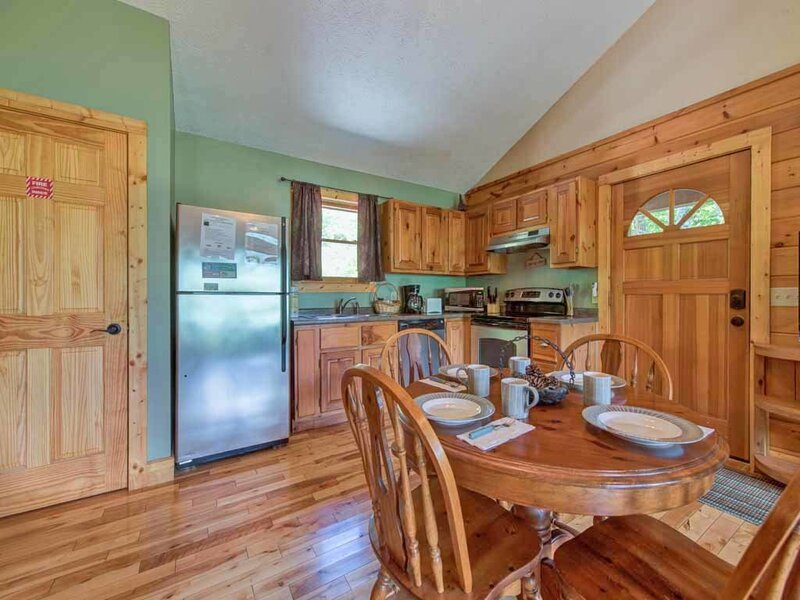 The main level’s open living/dining/kitchen area is decorated in classic cabin style. 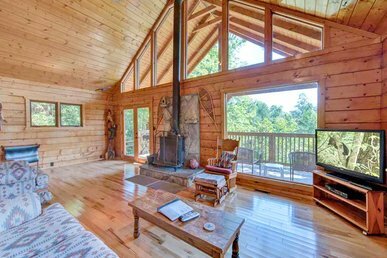 Sunlight streaming in through the windows adds to the luster of the wood-planked floor and walls. The sofa invites you to snuggle as you watch your favorite cable shows on the living area’s TV; the armchairs are comfy spots to surf the web and post photos of your day’s adventures. 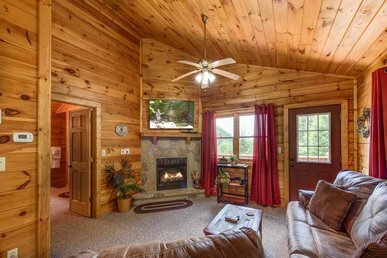 In summer the ceiling fan’s gentle breeze will keep you cool, while in winter the gas fireplace makes the cabin even cozier. Romance may be on the menu when you stay at Majestic View, but you’ll need some real sustenance too. 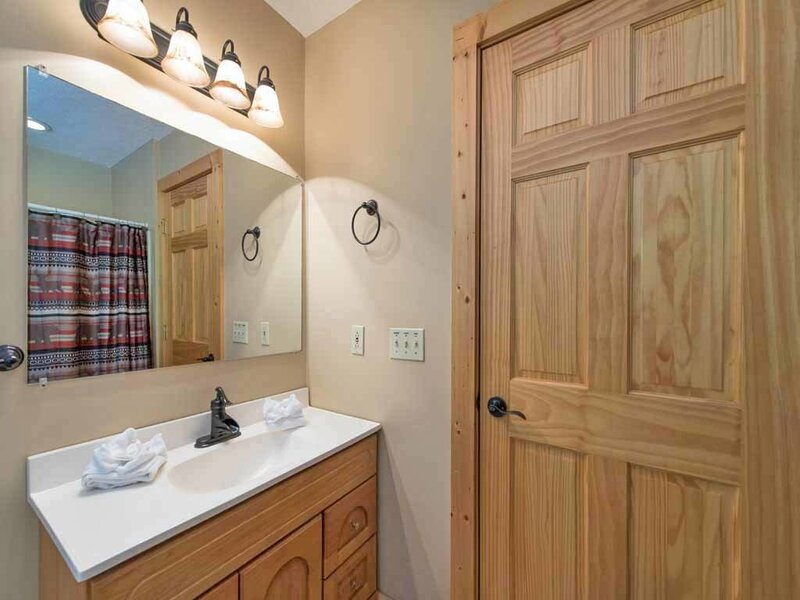 Fortunately the kitchen is fully equipped with gleaming stainless-steel appliances, gadgets, cookware, and tableware so that you can create gourmet meals every evening… or simply brew coffee in the morning and whip up daiquiris at night. The dining table can seat up to 4 people, should you want to invite another couple over. You’ll probably want to enjoy at least some of your meals outdoors, though, at the upper deck’s dining table. Even takeaway pizza seems like a gourmet feast when savored against a mountain backdrop, with wrens or whip-poor-wills providing the background music. 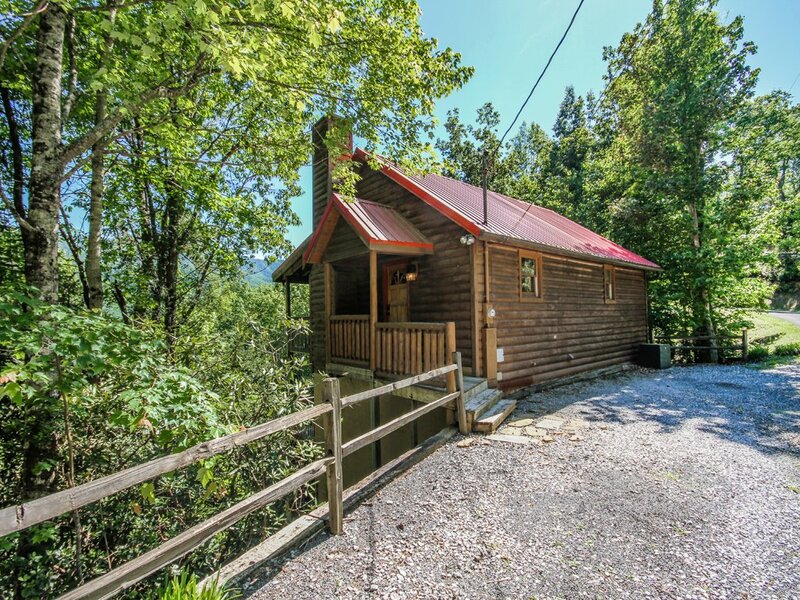 You can cook outside too, on the charcoal grill—perfect if you reel in trout from one of the nearby streams. 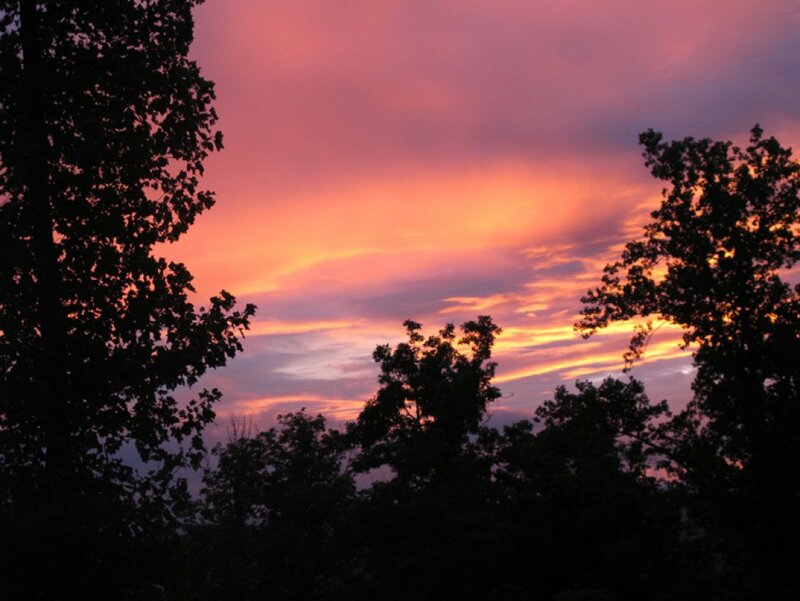 If you’ve been on the go all day, you might look forward to a quiet—but not boring—night in. 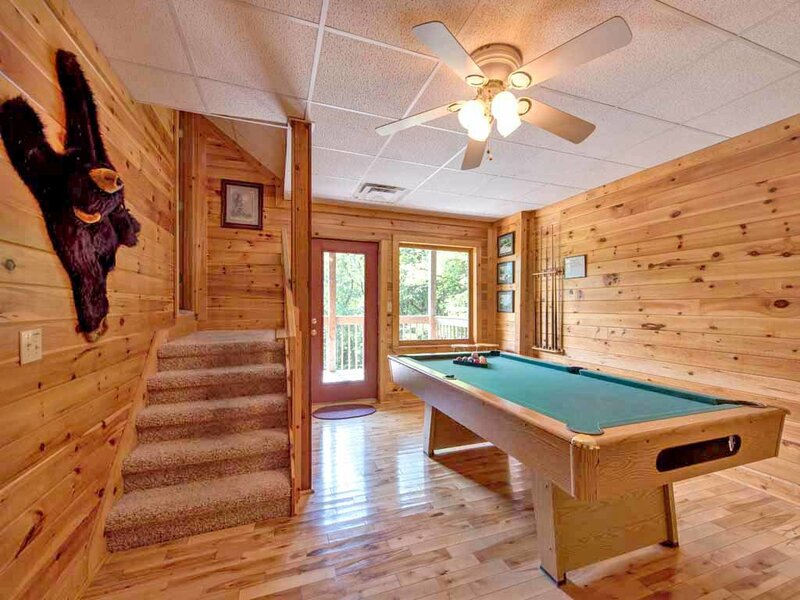 So after dinner, head downstairs to the game room and shoot some pool at the full-size billiard table, or step out onto the lower deck and into the outdoor hot tub. 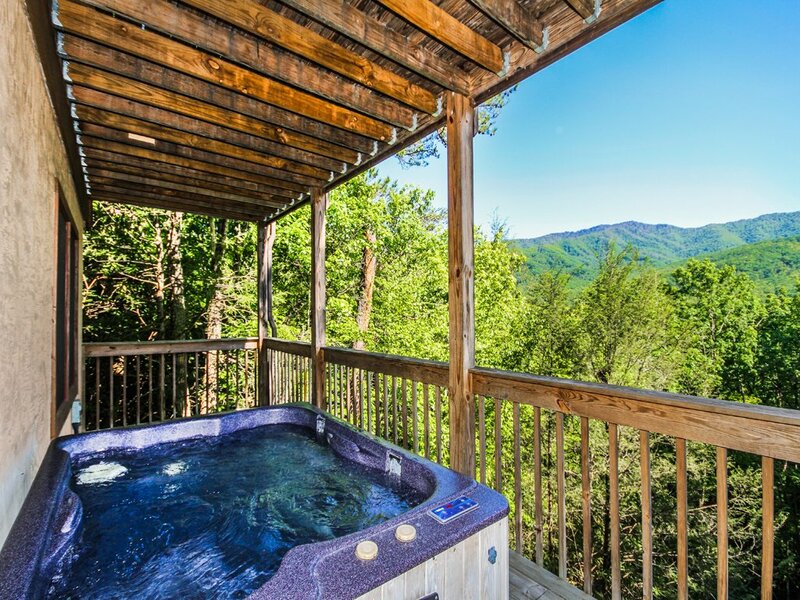 A soak among the steamy bubbles is luxurious to begin with, but when you can soak while watching the sunset over the mountains or counting the stars twinkling in the sky, it’s truly magical. 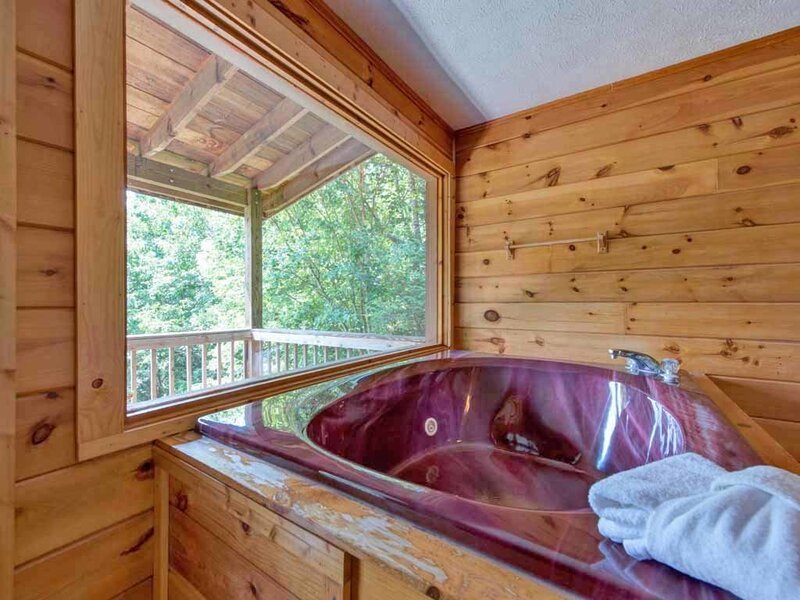 You can also relish a soak with a view indoors, from the spacious bedroom’s jetted tub. 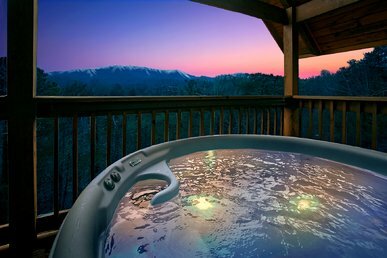 No matter how achy your muscles are from fishing, skiing, biking, or rafting, a languorous soak in the tub will soothe and revitalize them… and maybe get you in a romantic mood as well! 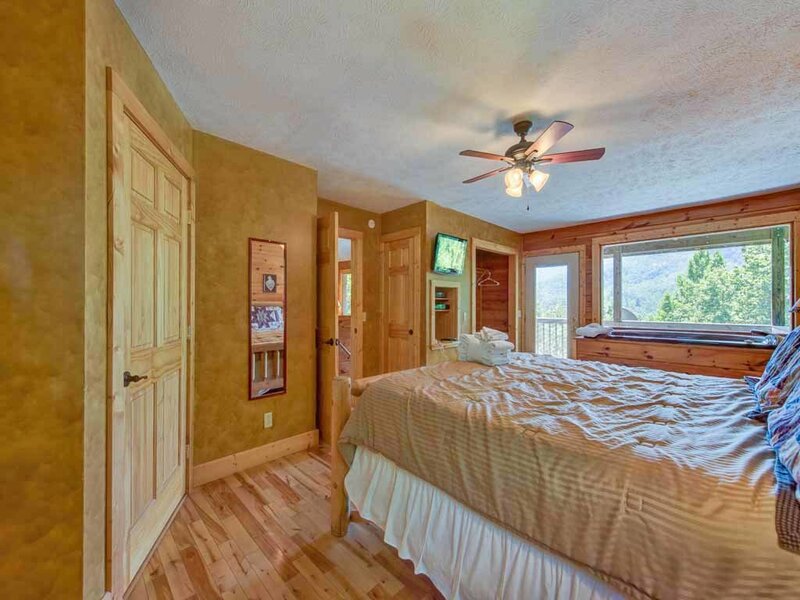 The bedroom also includes a luxe log-frame king-size bed and a wall-mounted TV with DVD player. 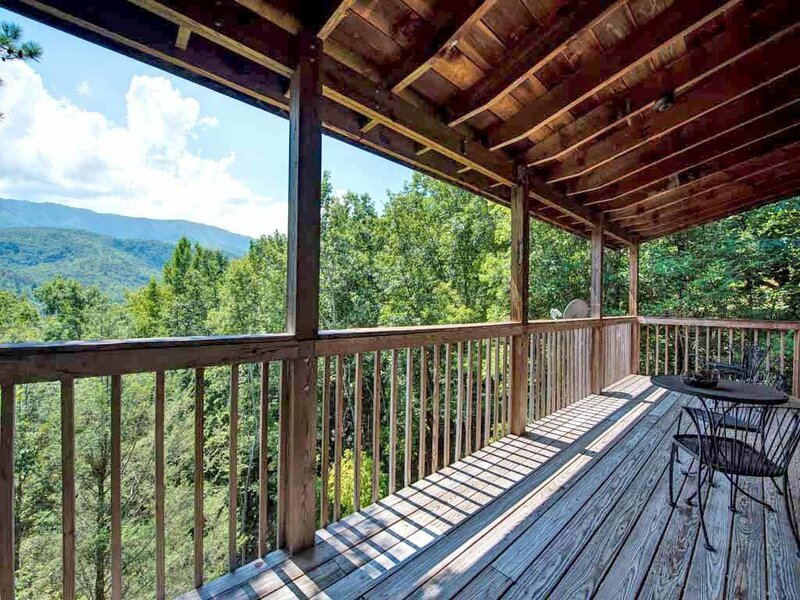 A door opens directly onto the deck, perfect for enjoying a final glass of wine in the moonlight. 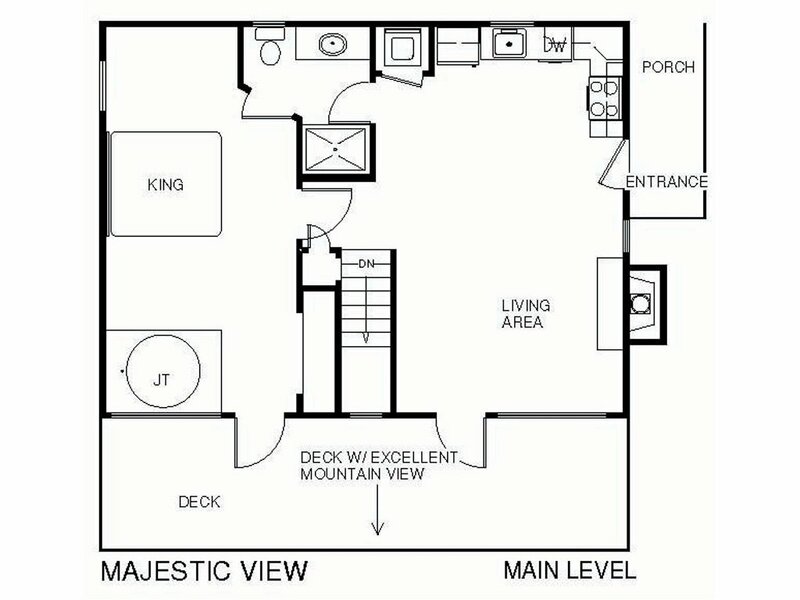 For maximum convenience, Majestic View has 2 full bathrooms, one on each floor, so you can both get ready for a night on the town at the same time. 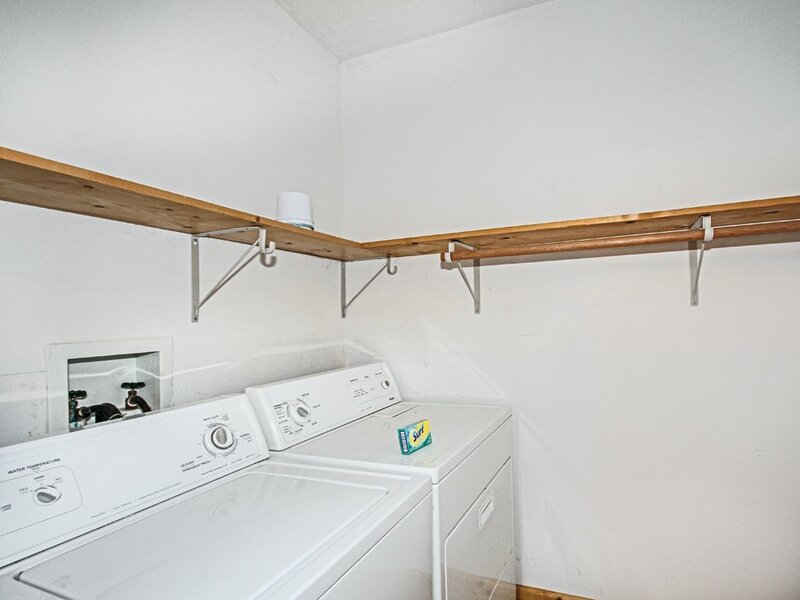 The cabin also has as washer and dryer, so you can pack even lighter than usual. The location is convenient as well. 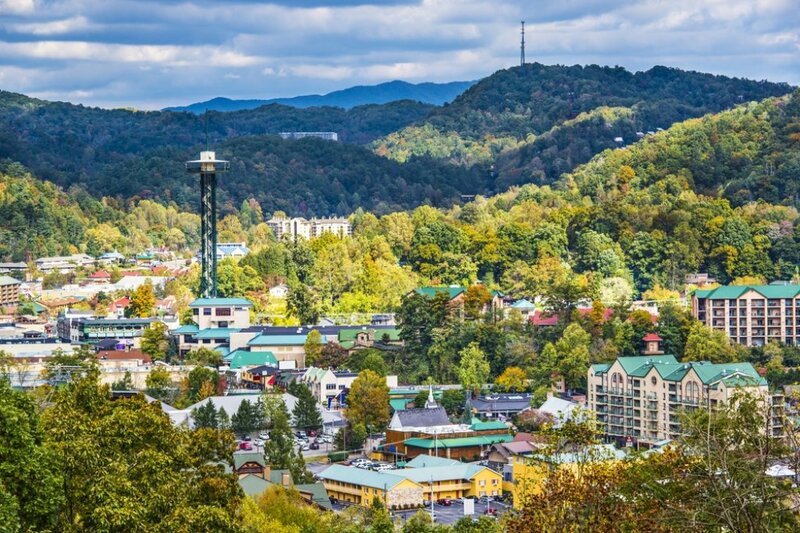 In less than 15 minutes you can drive to the restaurants of downtown Gatlinburg: dig into a juicy steak one night, barbecue ribs the next, and everything from pizza to pancakes in between. 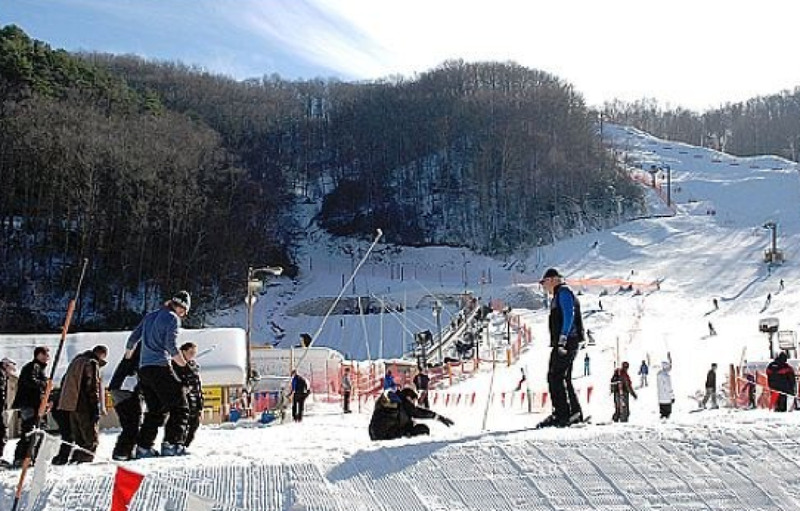 Besides eateries, downtown offers mini golf, an aquarium, and plenty of other attractions. 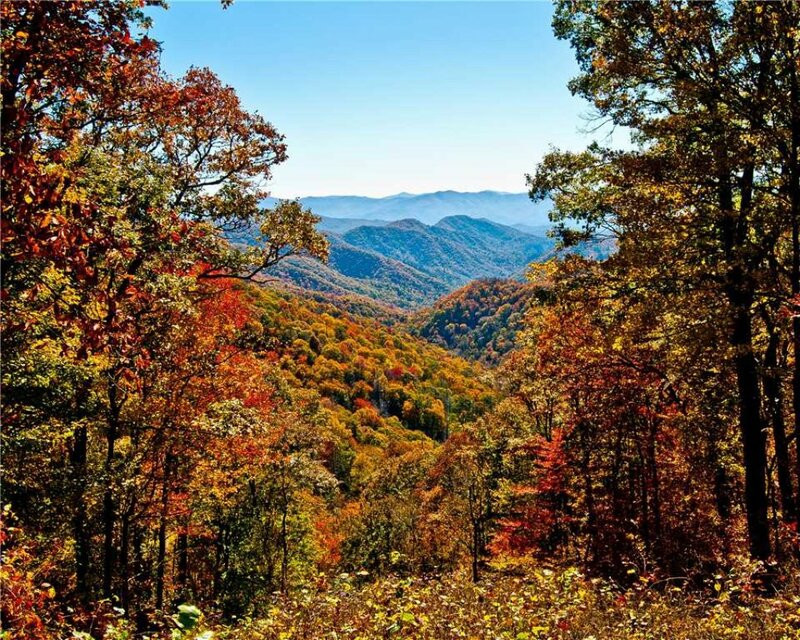 Also nearby are the Great Smoky Mountains National Park, the country’s most popular, with its hiking and biking trails, waterfalls, wildlife, and wildflowers, and the galleries, studios, and shops of the Gatlinburg Arts and Crafts Trail. 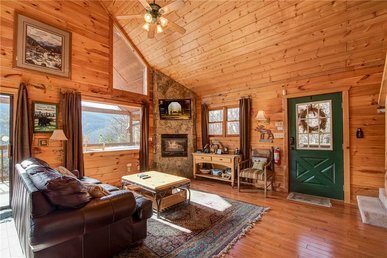 And if you’re traveling with other couples, Majestic View can be packaged with several other nearby cabins such as Bearway to Heaven, Dreamweaver, Naughty by Nature, and Seneca. 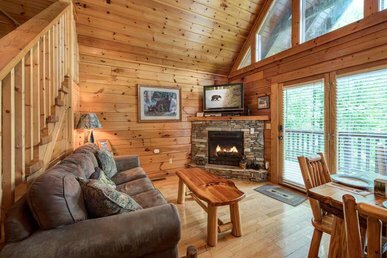 Experience for yourself just how romantic, relaxing, and rejuvenating a Smoky Mountain getaway can be: Book your stay at Majestic View today! 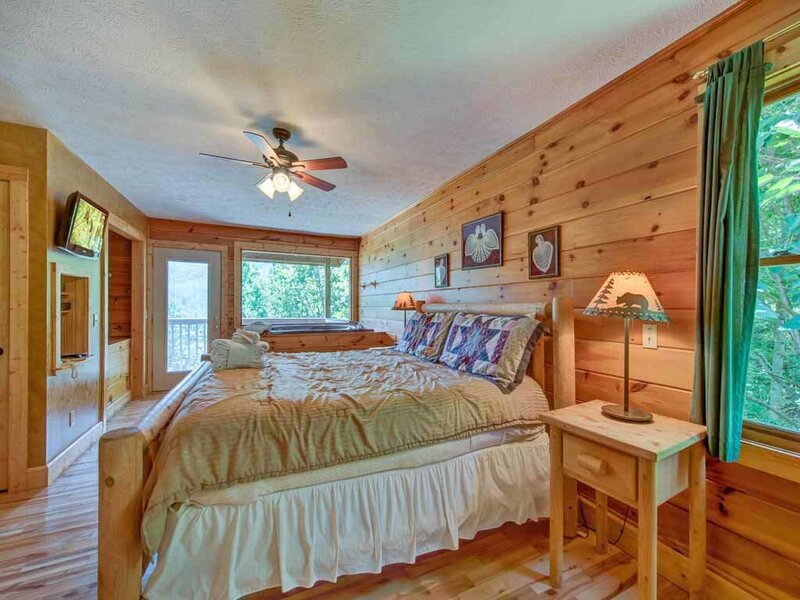 Very cute cabin. Perfect for a couple. Loved the set up, extremely stocked. 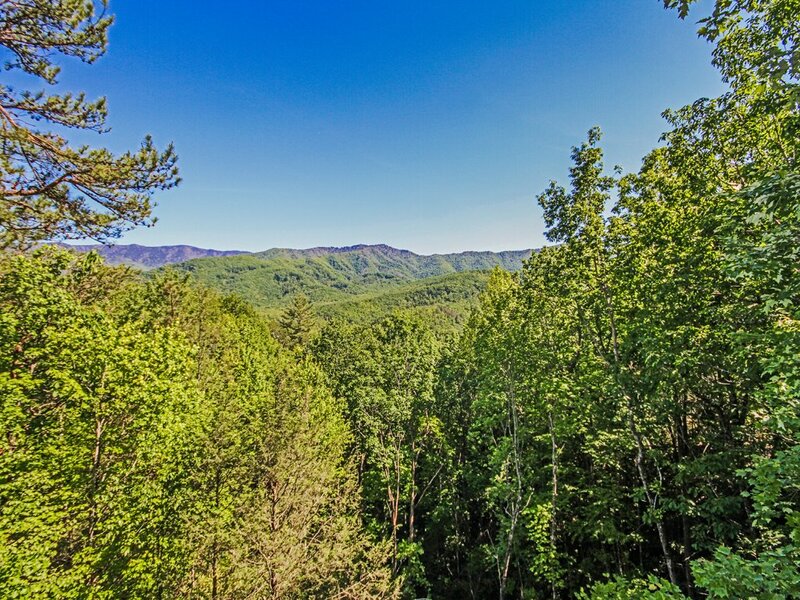 Perfect view! I bet itâ€™s even prettier in the spring.. not too far from the town. 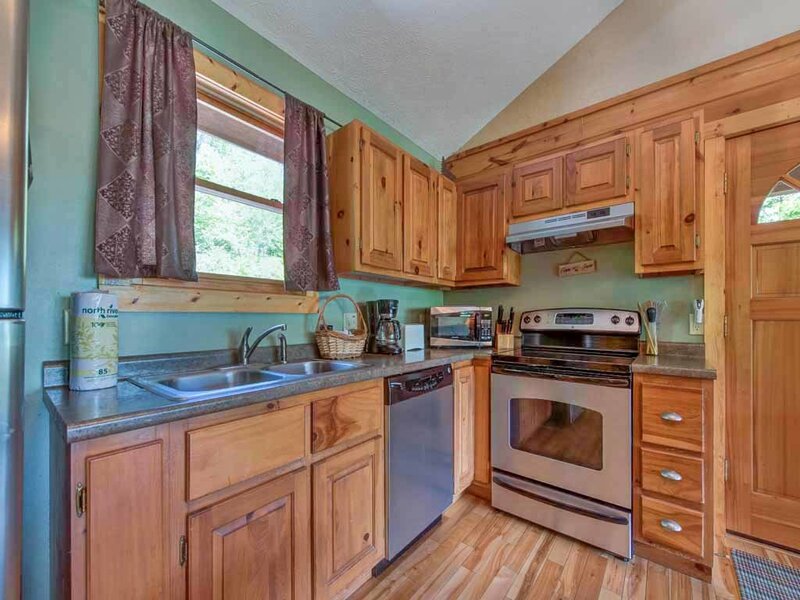 Very clean and well equipped kitchen. 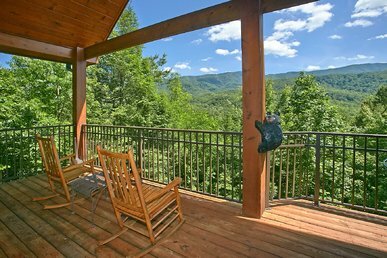 The views from either deck was amazing! 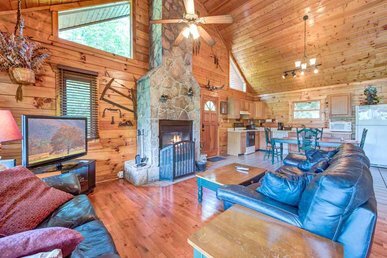 Quiet and secluded, perfect for a couple's getaway. The stay was great! 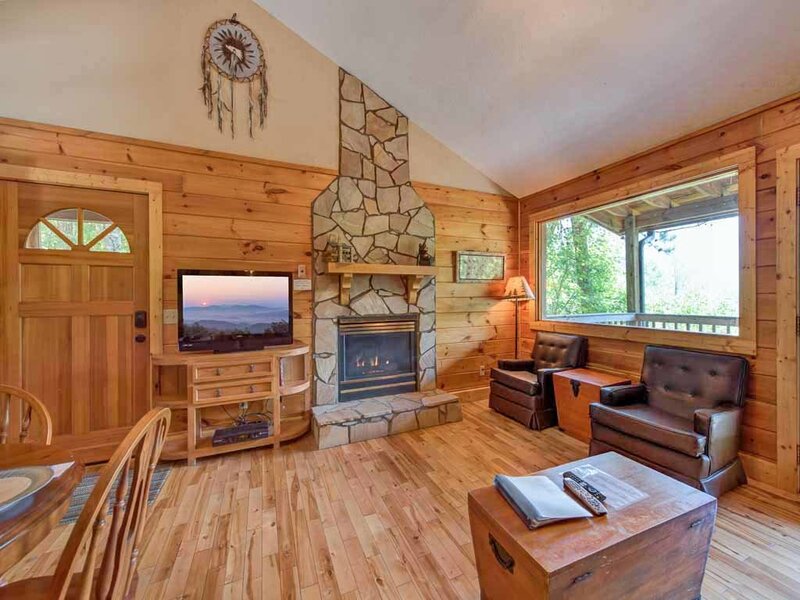 I wish there was a list of things to do in the cabin, like other cabins i have visited before.. But its beautiful and i recommend to any couple! We had a wonderful time at the Majestic View. 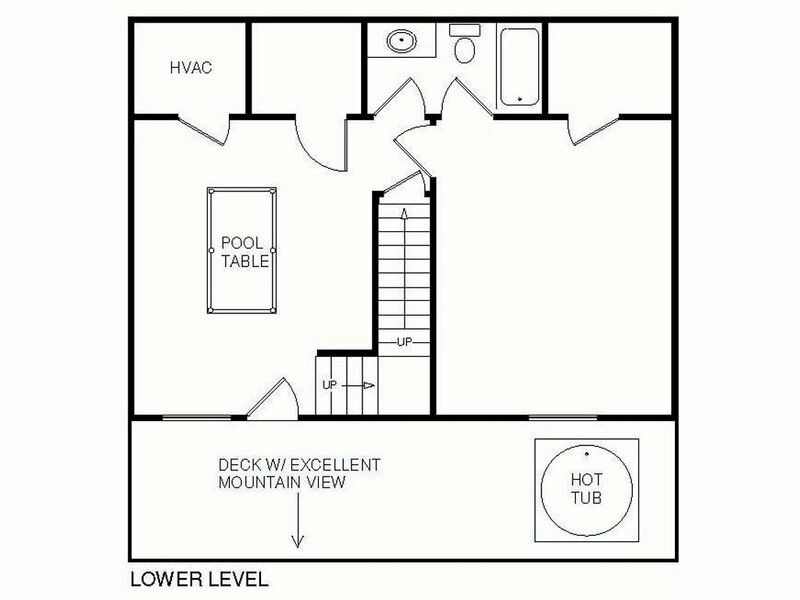 A secluded 2 story with 2 balconies and all the amenities you could expect. 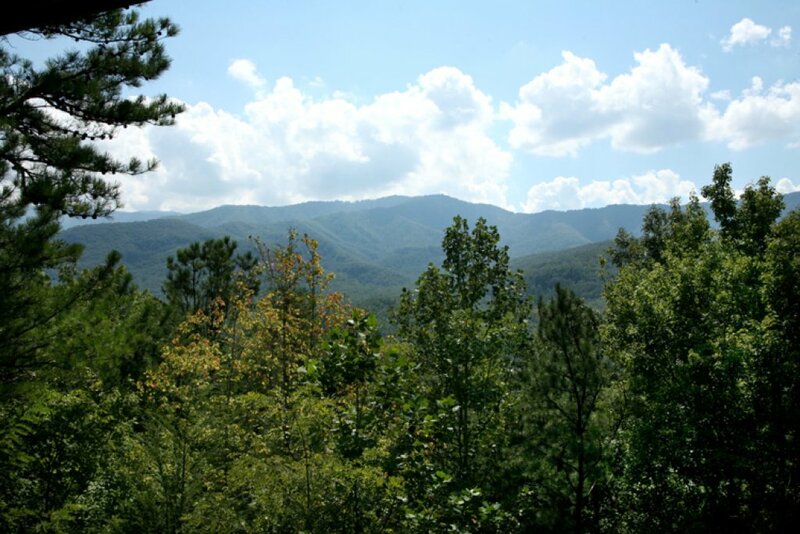 The Smoky Mountains view was spectacular. 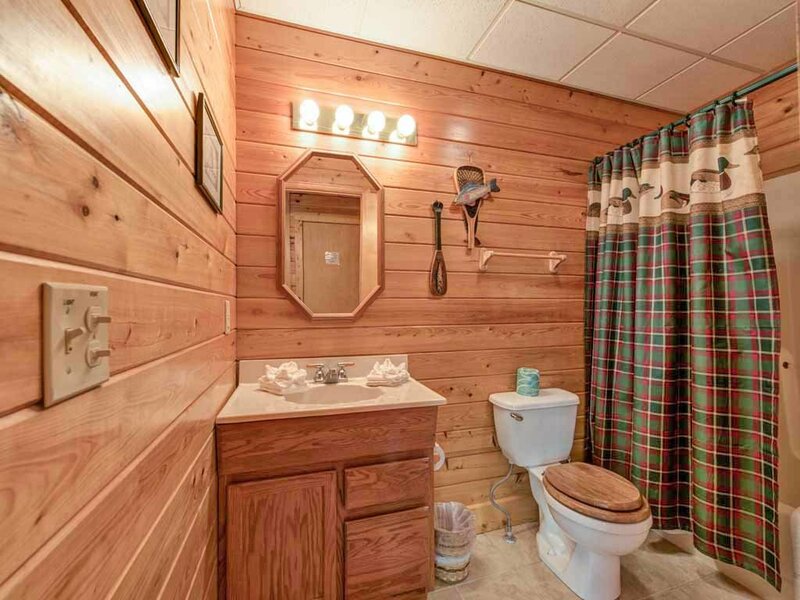 The cabin was spotless. 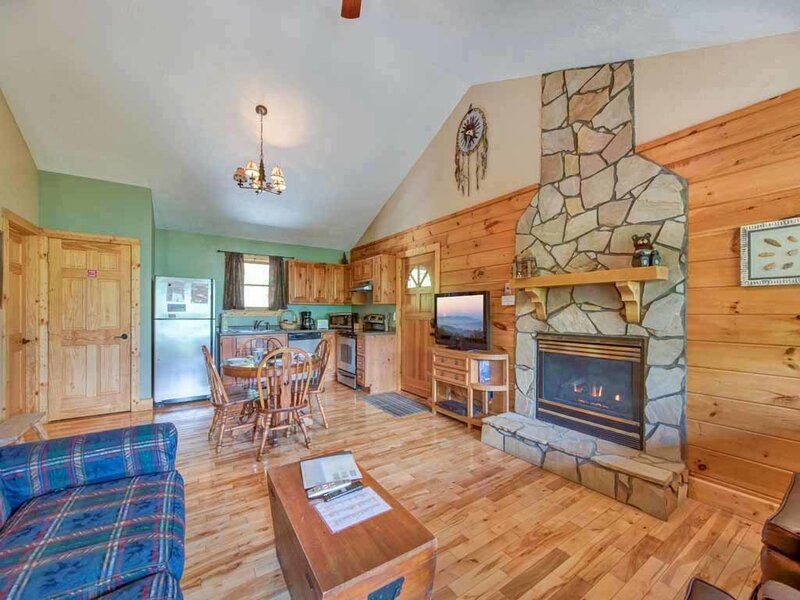 Vacation Rental Pro was excellent, exceeding our expectations. We canâ€™t wait to do it again.